I am very happy with the condition of the book. It is a real good deal. A classic for a reason. You come to the end before you realize you've read through the whole book. I received the very nice copy of the book in good condition and thoroughly enjoyed reading it. 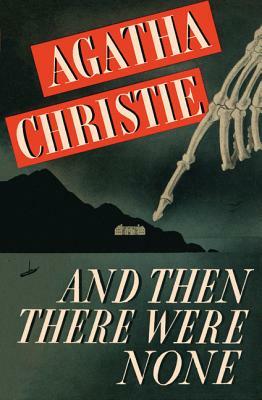 I have been one of millions of Agatha Christie's fans for many years but some how missed reading this one. I recommend it highly to anyone who enjoys murder mysteries written by British authors. This is an unusal book, in that it is a murder mystery novel that, having once been read, loses nothing on subsequent reads. If anything, subsequent reads actually serve to give a deeper appreciation for the sheer genius of it. And Then There Were None is easily the best in its genre. The best book I read this year. You have got to read this book, it is a great mystery. You will be sitting on the edge of your chair untill the end. It is a great book.